See New Zealand’s national icon, the kiwi, as it searches for food within our Nocturnal House (dark). At our daily kiwi feed (1.30pm), you will not only have the opportunity to see the birds forage for food but learn all about these remarkable animals from our wildlife guide. Our Nocturnal Kiwi House (dark room) is open from 11am each day, and whilst the feed presentation occurs at 1.30pm, you can have the chance to view kiwi throughout the day. Kiwi are fascinating birds and are unique to New Zealand. They are New Zealand’s national icon but like most of our native fauna are under constant threat especially from introduced mammalian predators. Adult kiwi are particularly at risk from a dog attack; keeping your dog on a leash can help save kiwi. Orana Wildlife Park is involved in the captive component of the Recovery Programme for these remarkable birds meaning we breed kiwi on-site. 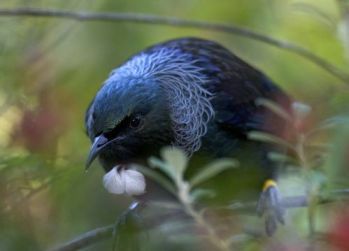 The Park also fulfils an important conservation advocacy role with kiwi, educating the public on the plight of these precious animals and advising how people can become involved in kiwi conservation. Please note: our Kiwi House will be closed from 23rd - 28th October to introduce a new kiwi, Rawiri, to the enclosure. Hina will be moved off display in preparation for his release to the wild. Orana is priviledged to be a part of the breed for release programme for our national icon and Hina is one of 3 Orana bred kiwi who will be released in the coming weeks. To help Rawiri settle in, the kiwi house will be darker than usual until 3rd November. Visitors will need to be patient in letting their eyes adjust to the darkness during this time and remember to be extra quiet to see if you can spot these amazing birds! At 11.05am every day a native bird presentation occurs in one of our beautiful walk-through aviaries, allowing you to immerse yourself in the habitat. Both aviaries are accessible throughout the day but presentations with a wildlife guide occur at 11.05am (Mon/Wed/Fri in the lowland forest aviary and Tue/Thur/Sat/Sun in the kea aviary). In the lowland native forest aviary you will encounter a variety of native birds including tui, bellbird (korimako), wood pigeon (kereru), blue duck (whio), red-crowned parakeet and yellow-crowned parakeet (kākāriki). Brown teal (pateke) can be viewed in a separate aviary next door. In the alpine kea aviary you can meet our family of the world's only mountain parrot, renowned for their inquisitive and cheeky nature. Keep your belongings close - they love to explore anything new!